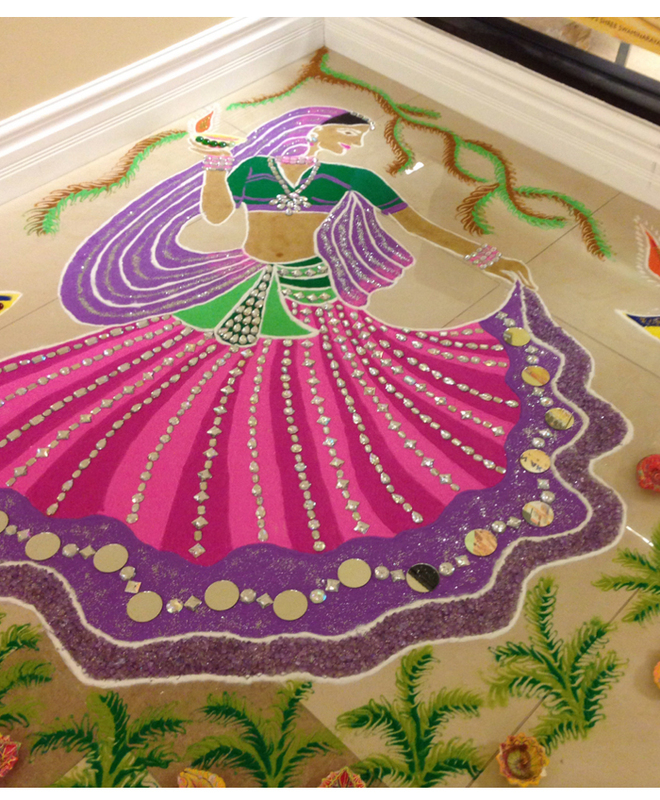 Diwali is more than the festival of light – it’s the festival of colour too! 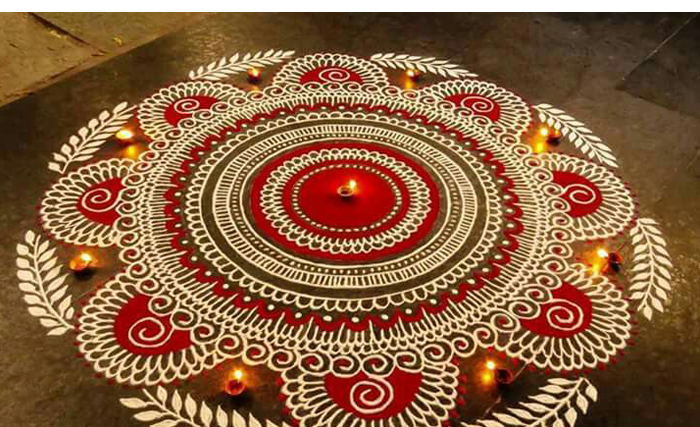 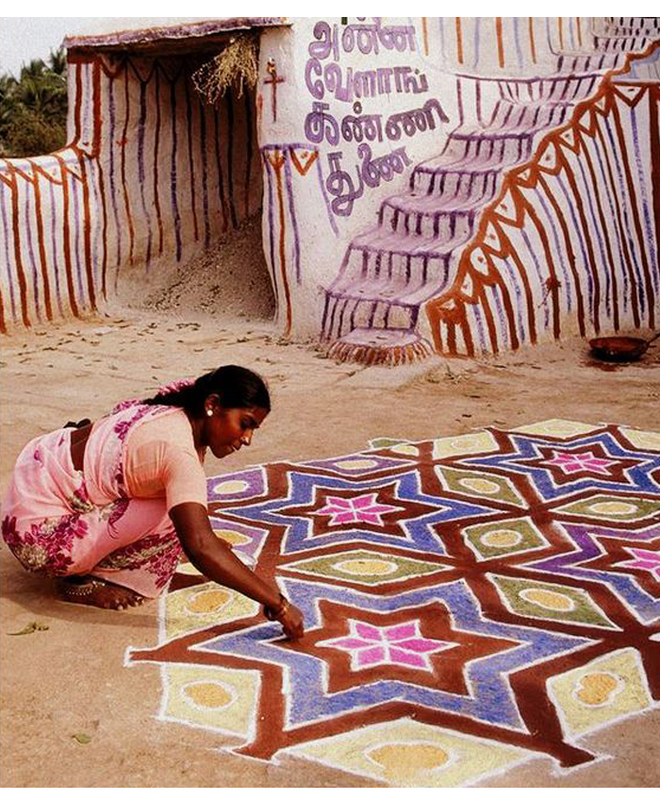 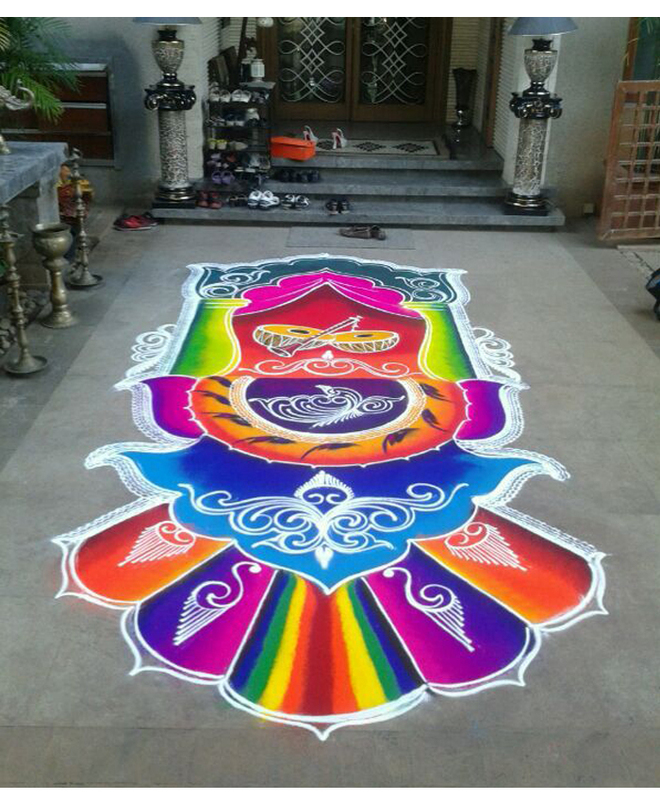 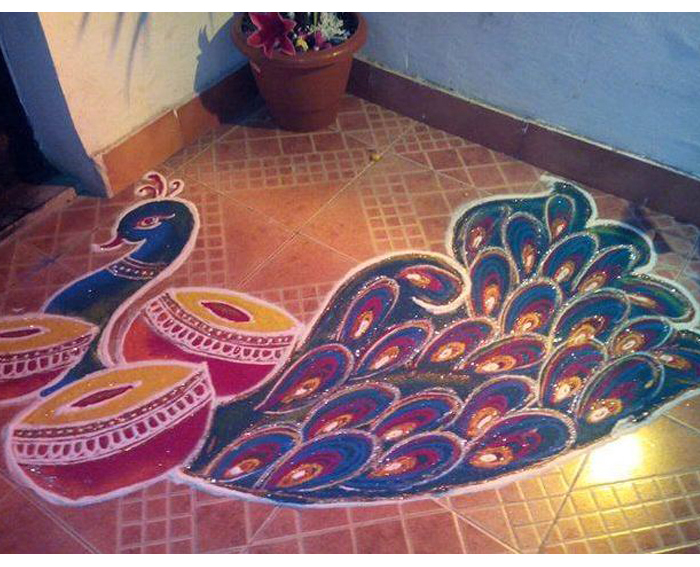 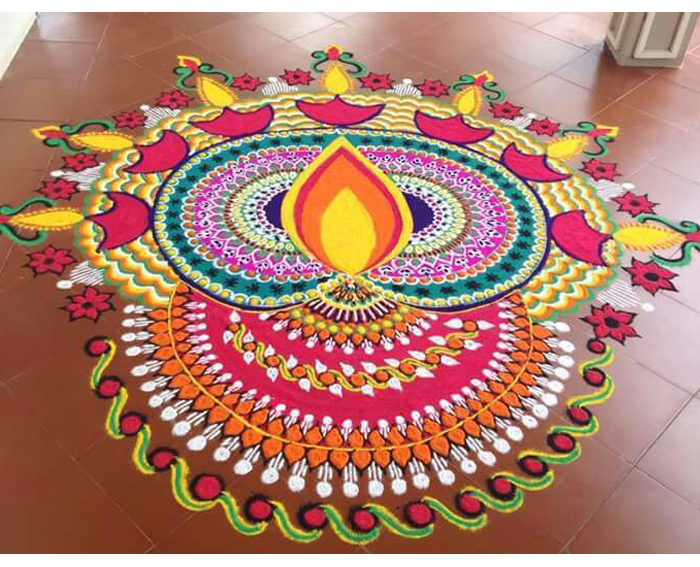 One of our favourite traditions is Rangoli; when Hindus decorate their homes with patterns to encourage Goddess Lakshmi to bless them with light, beauty and good fortune. 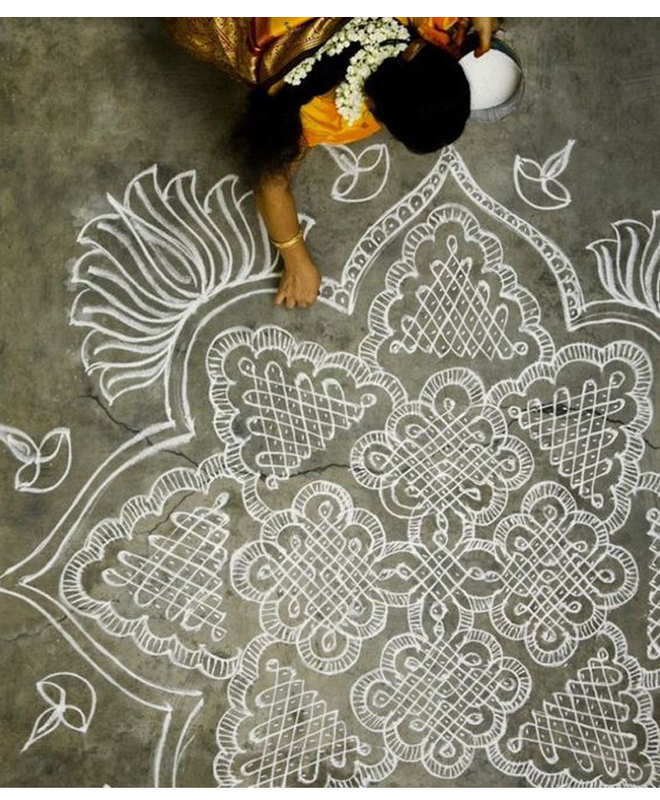 The art, traditionally made with coloured rice and sand, dry flour, and flower petals, is perfect for celebrating festivals and special events, like weddings. 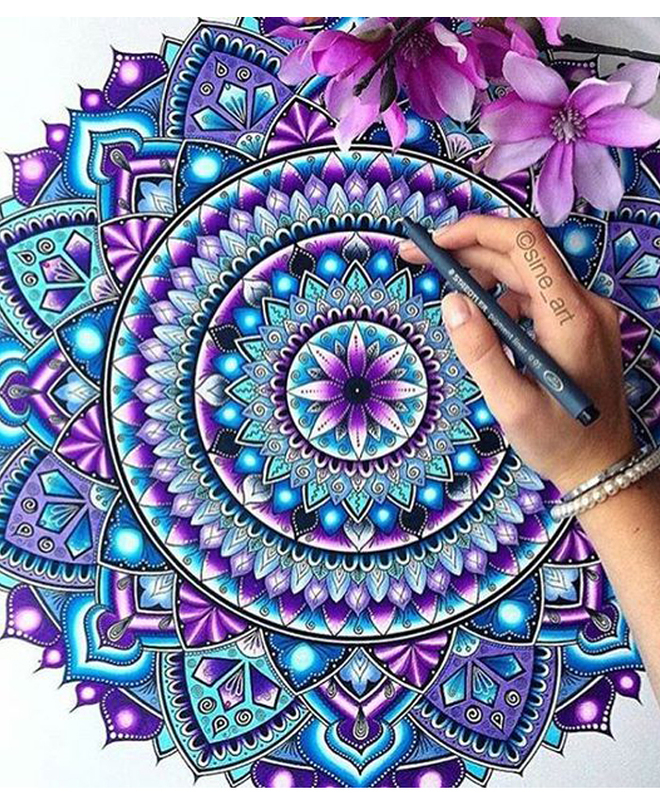 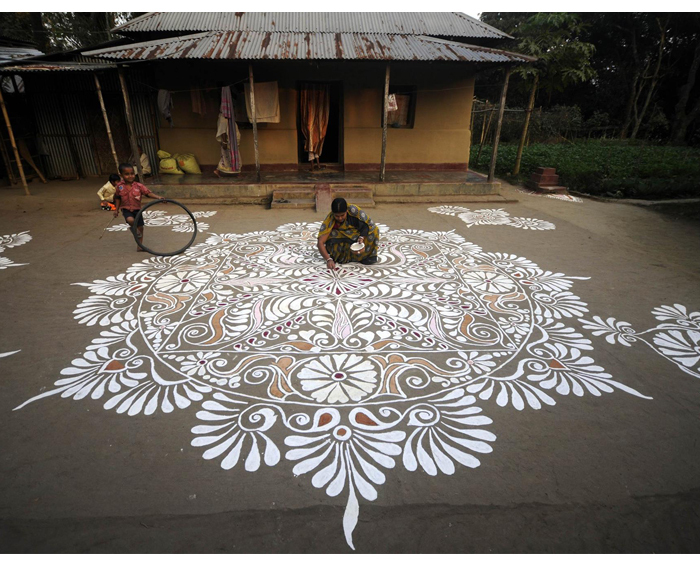 In fact, some of the patterns are really similar to mehndi, or henna, designs. 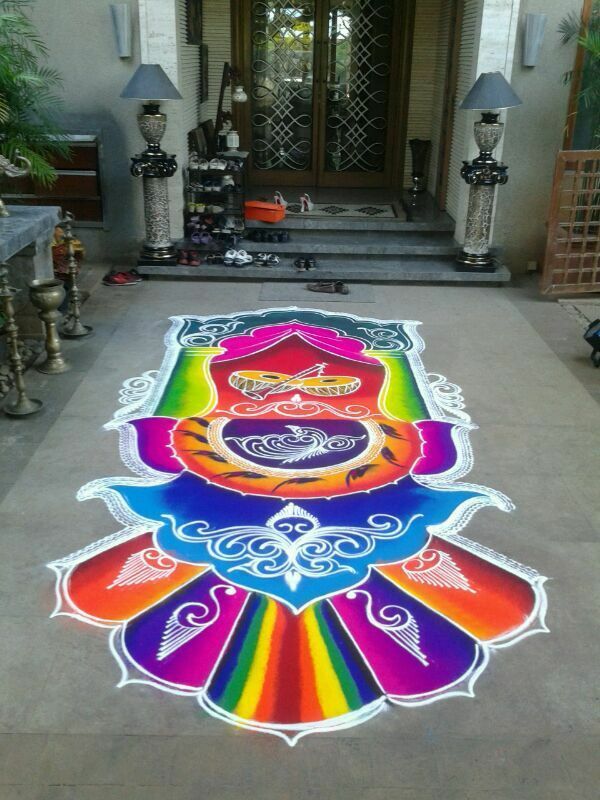 Bascially, the bigger the better! 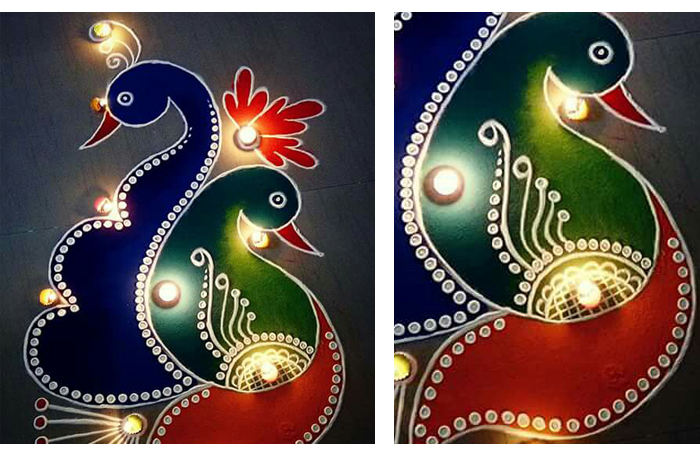 Because Diwali is a celebration for all!